October 6, 2014 By This post may contain affiliate links. 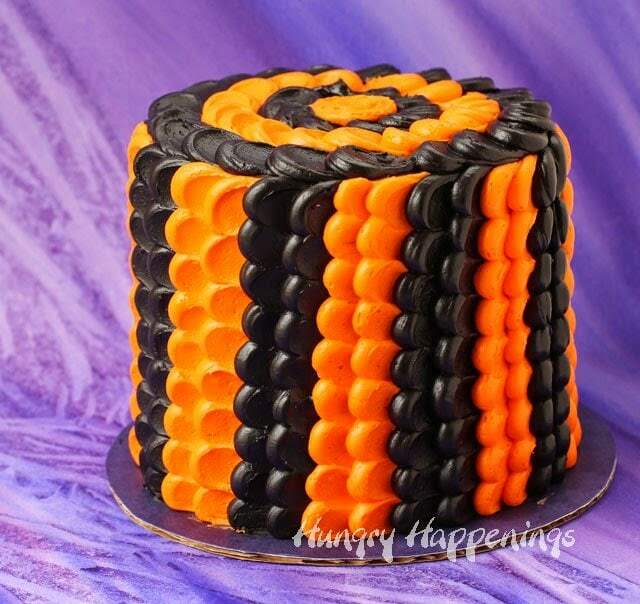 Orange and Black Halloween Petal Cake using one of the techniques I learned. I had not taken a cake decorating class since I was 16 years old, but felt it was time I learned some new techniques. Back when I was a teenager I decorated cakes for every special occasion, but over the years found my family just really isn’t into cake that much, so I quit. 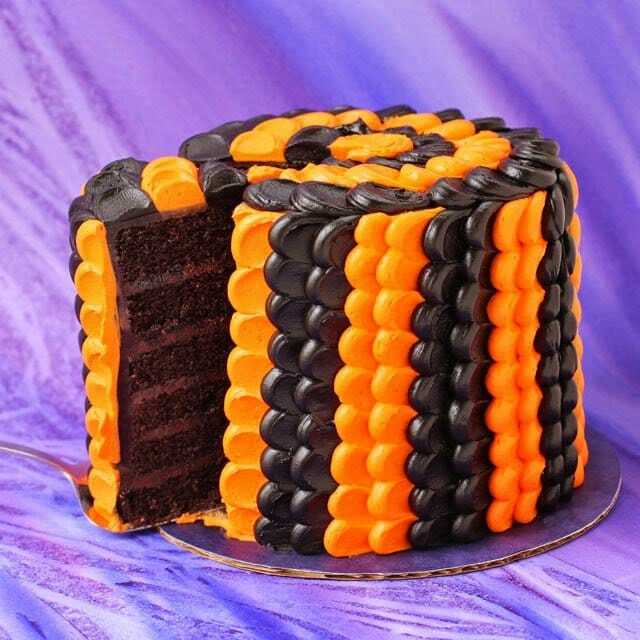 Over the last year I’ve been asked to decorate a lot of cakes for Tablespoon.com including a 3-D Pumpkin Pinata Cake and a 3-D Football Cake, and much of the time I have felt like I was flying by the seat of my pants. I knew it was time to learn new cake decorating skills. During each class, our instructor Terry, shared tips and tricks for making great cakes. 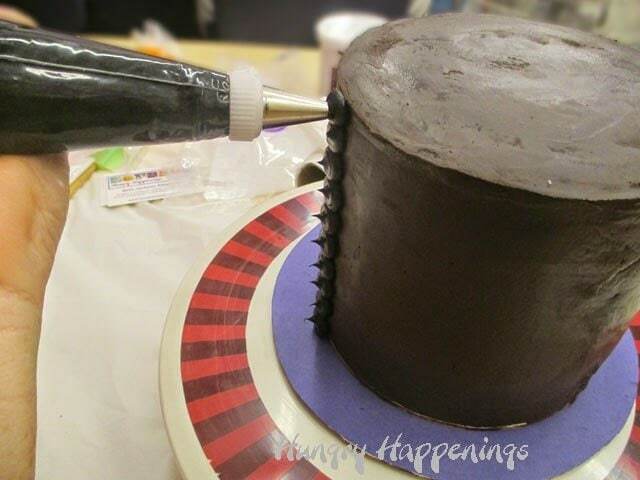 I was most excited to learn how to easily transfer an image using piping gel onto a cake. It is really a cool technique especially for those of us who are artistically challenged. 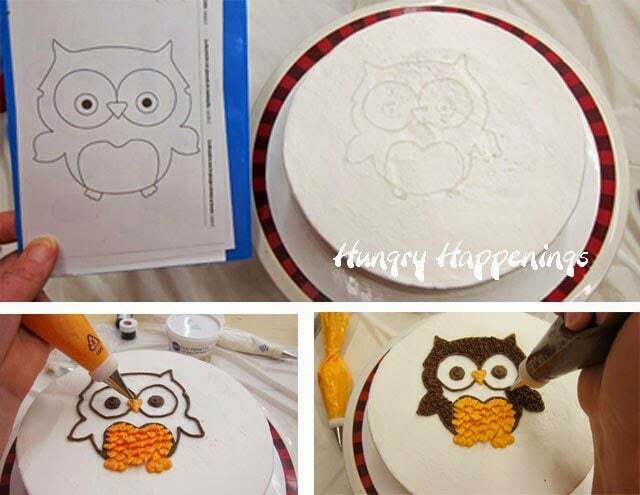 I’ve always been pretty good at tracing so I really love this idea. You set a drawing underneath a piece of parchment paper, trace over it with piping gel, turn it upside down, set it on the cake, brush around the edges, lift off the paper, and your design is on the cake. Then you decorate on top of it with icing. I had this owl decorated within 15 minutes. I couldn’t believe how easy this was. Each class is jam packed with so much information, and time to practice, that there isn’t a lot of time to completely finish the cake. So students often times bring them home and add the finishing touches. 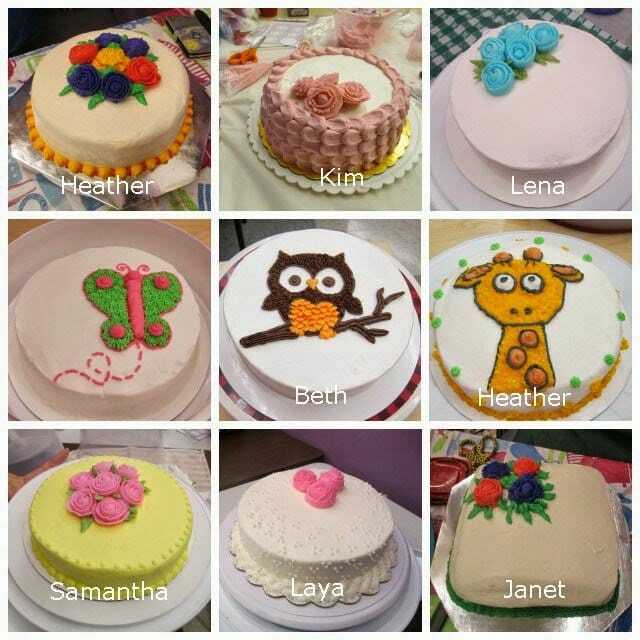 Here are some of the cakes created by the students in class. Some are not complete but you can see just how much you learn in four classes. Something that has always fascinated me is how you can teach a group of people the same skills and allow them the freedom to use those to best fit their personality. 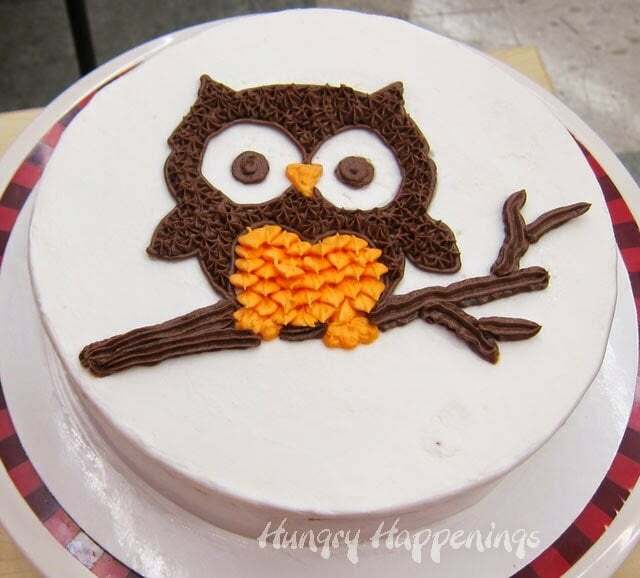 In a cake decorating class you see that really come to life. No two cakes are exactly alike. On our final day of class we were taught how to make ribbon roses and most students used those to decorate their final cakes. I went another route. 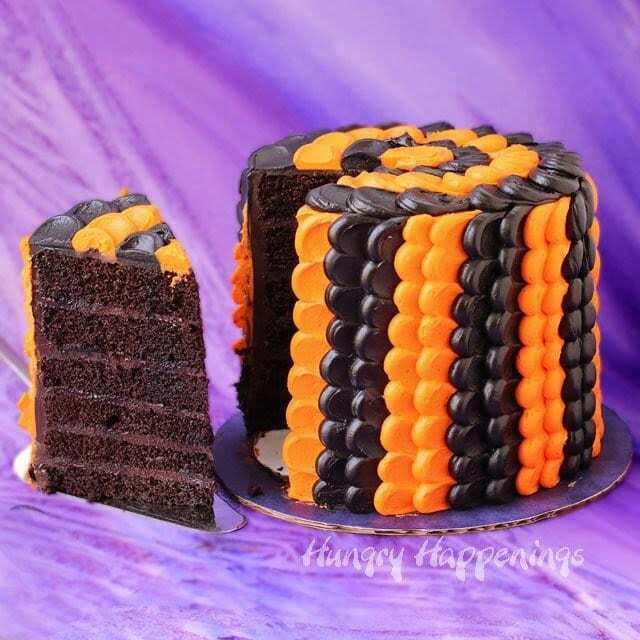 I love the simplicity of the pulled dot, also known as the petal technique, and chose to make a black and orange Halloween cake. I planned to give this to my husband for our anniversary. 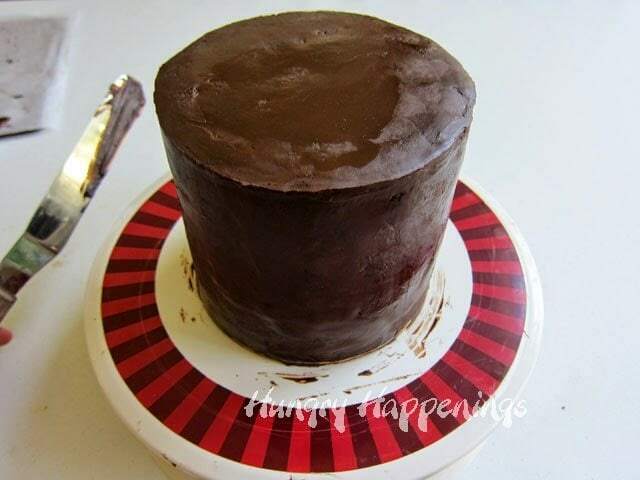 I know that seems strange, but we met at a Halloween party and are total Halloween fanatics, so it makes perfect sense, actually.I made my husband’s favorite chocolate fudge cake with chocolate ganache frosting. It was a great base on which to decorate this cake. Spray baking pans with Bake-Easy non-stick spray. Combine the cake mix, water, oil, eggs in a bowl and stir to combine. Add in the melted chocolate and beat for 30 seconds on low. Increase mixer speed to medium and beat for two minutes. I love adding melted chocolate to this Duncan Hines Chocolate cake. It really intensifies the chocolate flavor. Equally divide cake batter among cake pans. Run the Bake Even Strips under water, allow excess to drip off. 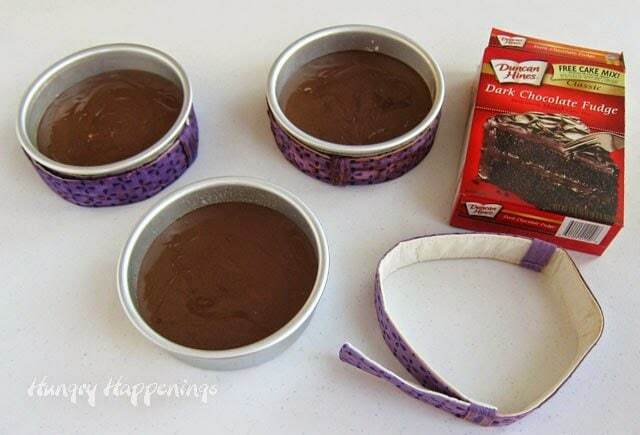 Wrap each cake pan with a strip, then place cakes on the middle rack in the oven, with at least 1 inch in between each pan. 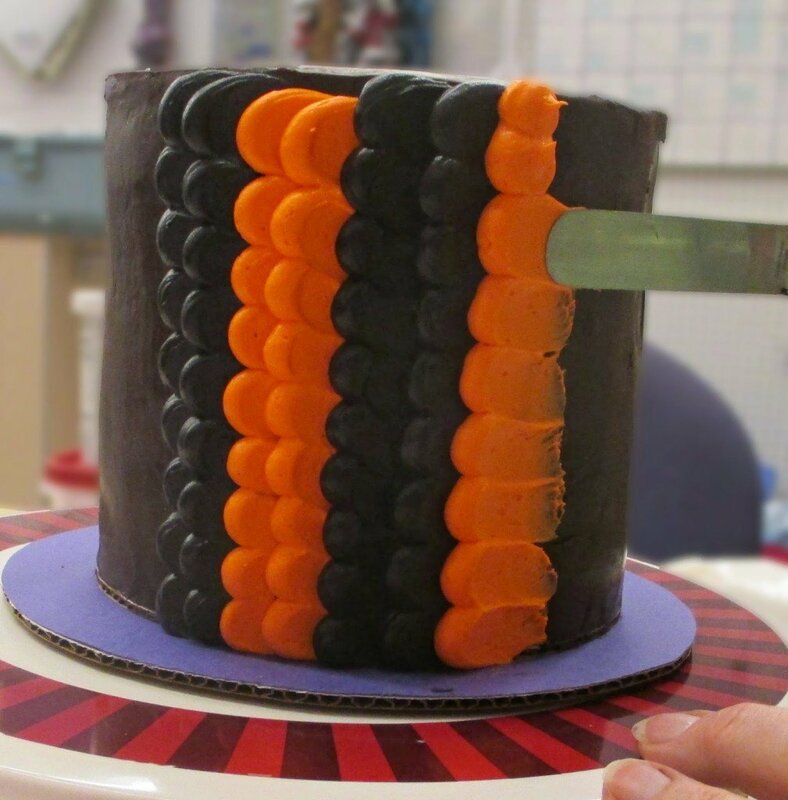 The bake even strips help your cakes bake more evenly, so they come out nice and flat. Bake for 22-26 minutes, until a toothpick inserted in the center of each cake comes out clean. Allow to cool completely. While the cakes are cooling, make the chocolate ganache frosting. Heat heavy whipping cream in a small saucepan over medium heat. Stir often until it just comes to a boil. Pour the hot cream over the chocolate, put lid on the food processor bowl, and let sit for 2-3 minutes. Pulse for 3 seconds. Remove lid and scrape down the sides and bottom of the food processor bowl. Return lid and pulse for 5 more seconds or until the mixture, which is called ganache, is smooth. Dont’ over-mix your ganache or it will turn grainy as it sets up. Note: A food processor makes easy work of creating a chocolate ganache. If you don’t have one, finely chop your chocolate and put it in a microwave safe mixing bowl. Boil cream as above and pour over chocolate and let sit for 2-3 minutes. Use a whisk to create an emulsion. Begin by stirring just in the center of the bowl, then slowly bring the whisk out to the edge of the bowl. Stir just until combined and the ganache is smooth. Allow this to cool until it is thick enough to spread. Keep and eye on it. I can’t tell you how long this will take. There are too many variables. So, just stir it every 15 minutes or so and keep an eye on it. 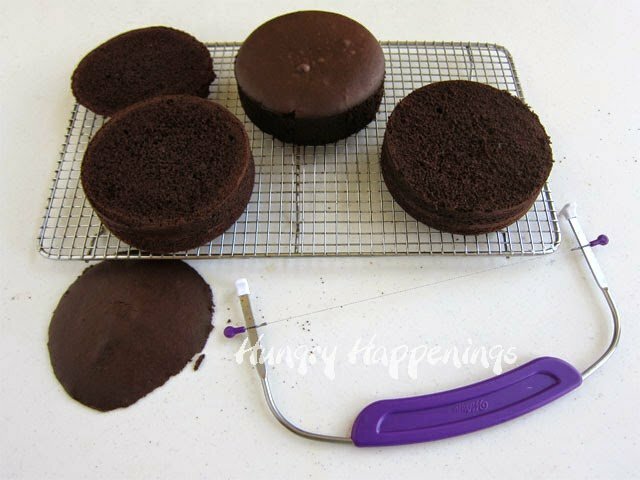 Once the cakes are cool, use a cake leveler to cut off part of the cake that did dome up a bit, then slice each cake into two even layers. You can see that I didn’t have to cut off much. My cakes baked up nice and level. Cut each of those cakes into two evenly thick slices. Set one cake layer on a 6 inch cardboard cake round. 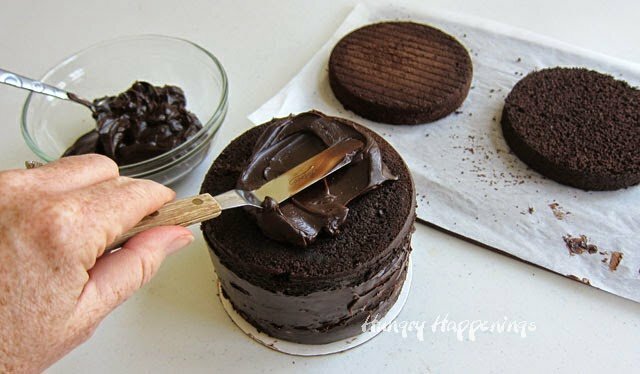 Spread a thin layer of chocolate ganace over that cake layer. Stack another layer on top and repeat until all 6 cakes are stacked. Then frost the entire outside of the cake and smooth it out. 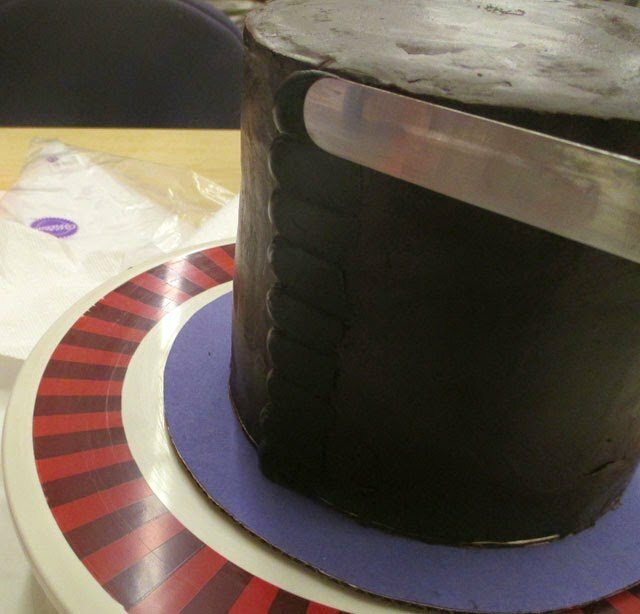 You’ll notice that the frosting is thick enough that the cardboard cake round is completely covered, so I picked up my cake and set it on an 8 inch round. I used double stick tape to attach the two pieces of cardboard together and actually covered the 8 inch in purple paper. 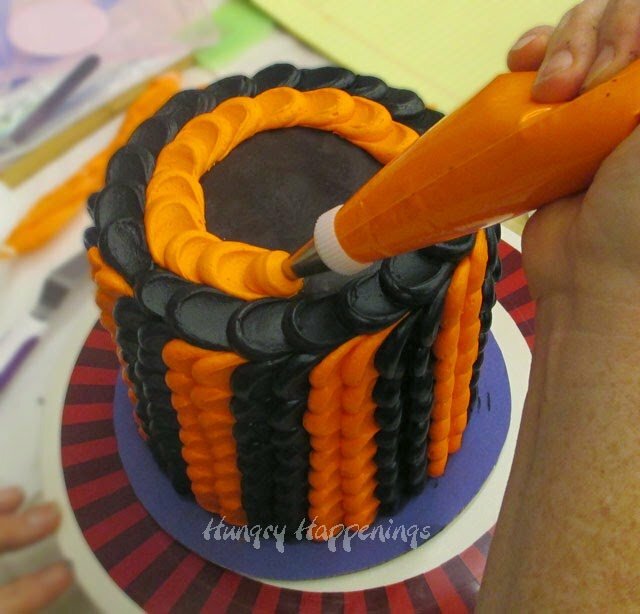 To add the decorative petals to my cake, I first started with coloring my white icing using orange coloring and my chocolate icing by coloring it black. Something I learned in class is that Wilton makes different thicknesses in the icing tubs. Some are thick, like the small tub of chocolate, so I had to add a small amount of water, about two teaspoons, to thin it out a bit. The white icing came in a large tub and it was perfect, but if you by the small tubs, you’ll need to thin it out. 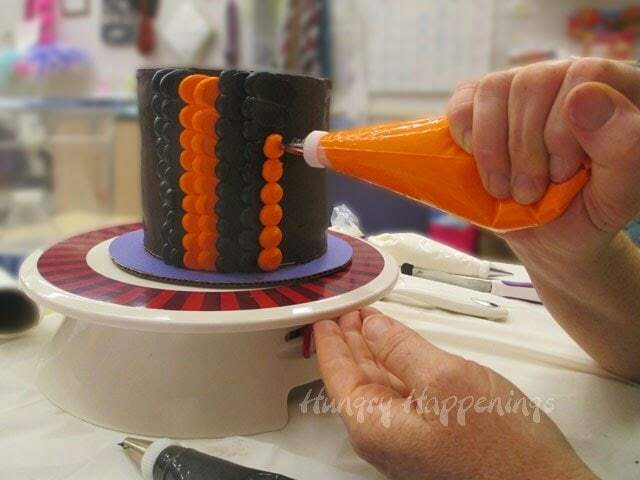 To create the pulled dot design, I simply piped a row of dots vertically onto the cake. Then I took my spatula and pulled through each of the dots. I didn’t take a picture of the next step, but I piped another row of dots on top of the frosting that had been pulled from the first dot. 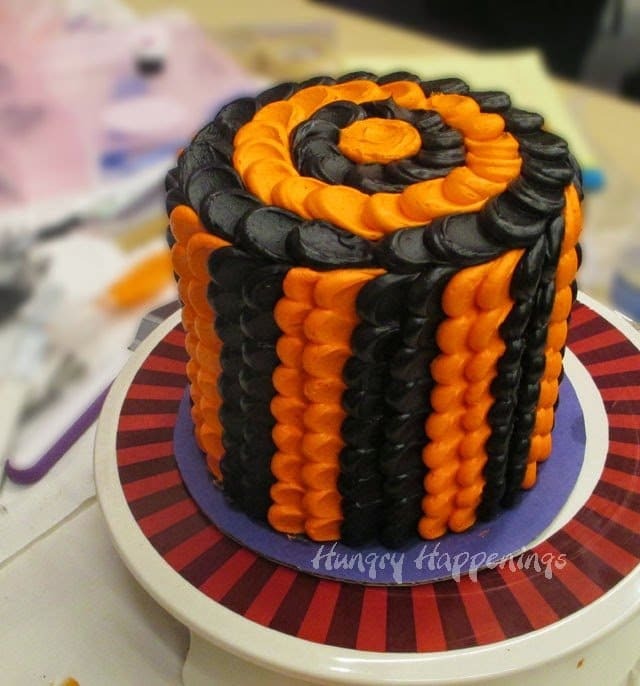 I moved in the circular pattern around the cake, piping and pulling two black dots then two orange dots. Admittedly I was rushed. We had 35 minutes to decorate our entire cake. So as you can see my dots don’t line up perfectly, but in the end it really didn’t matter that much. I continued around the top of the cake and by doing so was able to fill in the gaps at the top of my crooked rows. I was pretty happy with how it turned out especially being that I had so little time to decorate this. Happily my husband loved it. At the end of the class several of the women including my friend signed up for course number two. I wish I could have, but October is just too busy for me. Maybe next time. I was allowed to take this course for free and was given the Course 1 Decorating Kit which includes many of these decorating supplies you’ll need, from Wilton because I am a brand ambassador for them. All opinions expressed here are my own. You totally outdid yourself with this cake, Beth!! I am so in love with the pulled dot technique – the petals are so pretty!! Now that's my kind of cake! I love the look of the orange and black petals – 35 minutes? WOW! Love this! You're so talented! I'm super jealous! And impressed! Pinning! I love that cake!! The orange and black are amazing! You make it look so simple! Love your website! 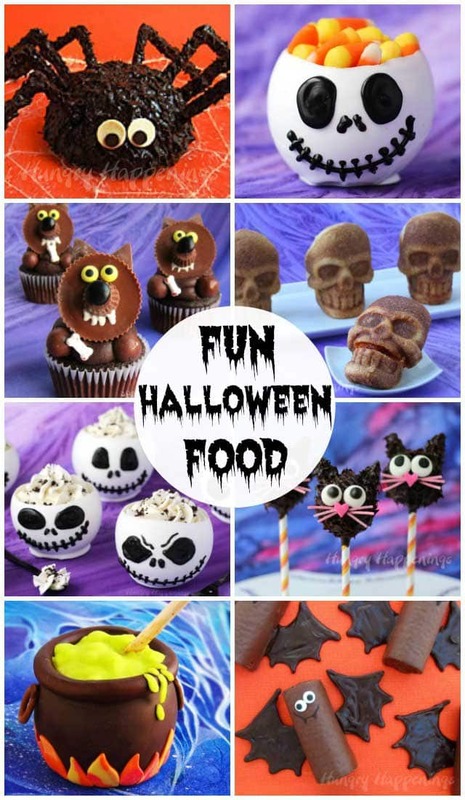 I like baking cakes and cupcakes, and you have some great tips and designs.